Looking our absolute best. For most of us, it doesn’t come without a good amount of effort. From making sure that favorite suit is perfectly pressed, to having shoes impeccably shined, no detail, however small it may seem, goes overlooked. In tourism circles, the same holds true. And no one wears it better than Québec City. If the streets that lined this fashion-forward city were runways, they’d be dressed in Dior and smell of Chanel. Québec City knows the value in flaunting its best features. Here, everything is fuller and brighter with bursts of colors coming to life at every twist and turn. Overflowing flowerbeds, with brilliant reds, canary yellows and passionate purples greet gregarious gaggles of tourists as they meander the cobblestone streets of this charming city. An exotic blend of European elegance merges with Native, British and French heritage to make up this city’s foundation and façade. 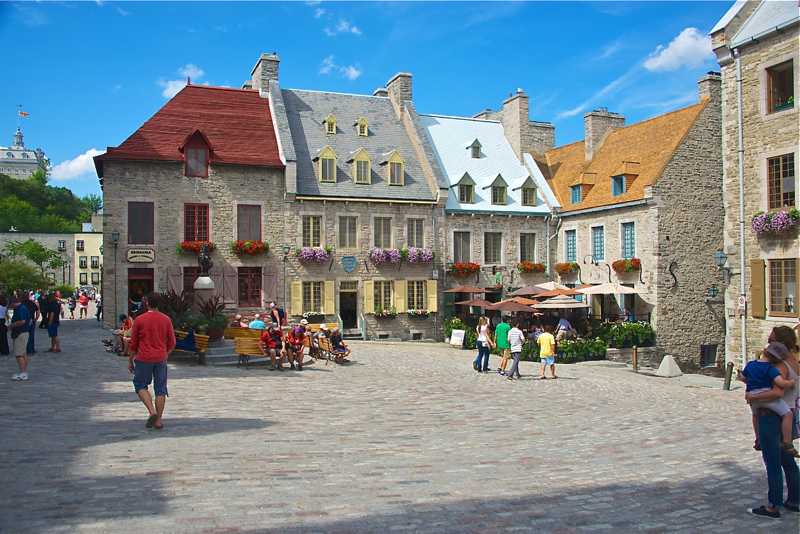 Old Québec brims with excitement as horse-drawn carriages, a smattering of street entertainers and a bustling open-air art gallery all collide to create the perfect catwalk where visitors can strut. The flirtatious fountains on Parliament Hill provide the warmest of welcomes to the throngs of visitors that gather here year-round. With 43 jets, water-themed sculptures and exceptional nighttime lighting, you’d think timing that souvenir selfie is easy. It’s not. But that’s not stopping anyone from trying. This legendary landmark is the obvious starting point for a deep dive into this province’s past. Québec’s National Assembly convenes in the structure just beyond these fountains in the Parliament Building. And it’s not uncommon to see tourists looking up in awe at this architectural marvel then rushing to the nearby Observatoire de la Capitale to gaze down upon the unbelievable views from a height of 221 meters. If Yves Saint Laurent, Louis Vuitton and Hermès collaborated on a line of hotels, there’s no doubt they’d be show-stopping stunners with dramatic entrances, opulent edges and sculpted exteriors. 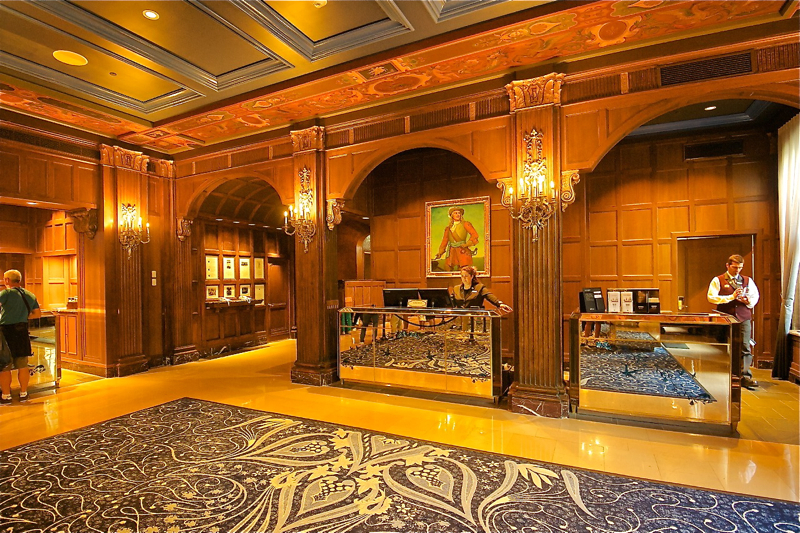 Enter the world’s most photographed hotel: the Fairmont Le Château Frontenac. Nestled in the heart of Old Quebec, this iconic landmark underwent a 75-million-dollar renovation in 2014 elevating its historical past to more modern heights. Dramatic views of the St. Lawrence River and the rich, soaring architecture of this enchanting property make staying in here, in one of the most walkable cities in the world, a true inspiration. Not far from this legendary hotel sits an equally elegant escape in the Auberge Saint-Antoine. 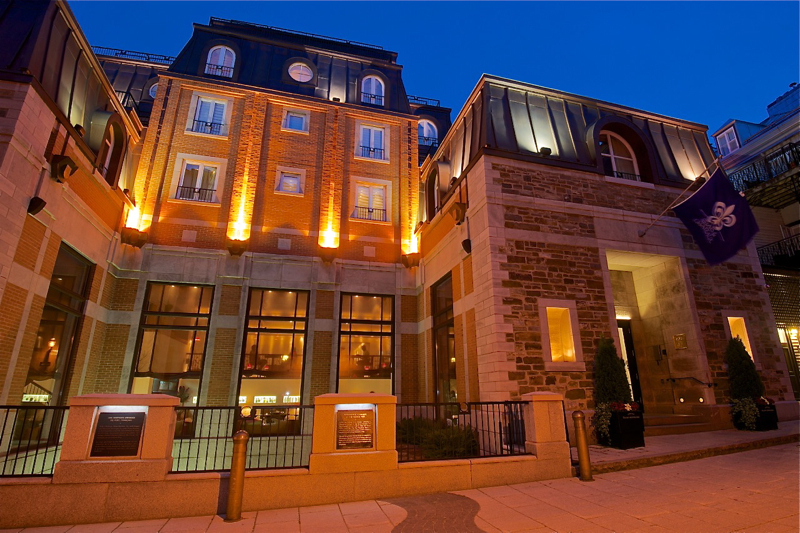 Located in Québec City’s Old Port district, this six-story boutique hotel houses a sizable piece of this city’s past. In fact, the structure is perched atop a historically significant space where hundreds of artifacts, from both the French and English regimes, were discovered during an extensive archaeological dig on the property. Today, more than 700 of these finds are on display throughout the hotel, with each room showcasing an artifact and a fragment from a particular period in history with an explanation of its significance. 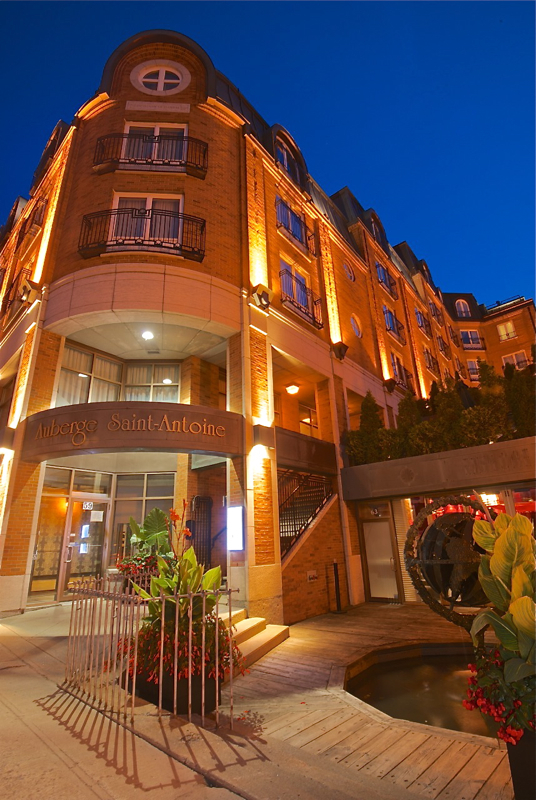 Continually ranked as one of the best hotels in the world by many prestigious publications, the Auberge Saint-Antoine doesn’t need to work hard to earn the adoration of guests. But it does anyway. From fluffy over-size pillows scattered throughout the make-shift booth style seating in the downstairs café, to a bulbous bowl of seasonal fruit at the check-in counter, visitors are encouraged to feel right at home from the moment they walk through the property’s French-style doors. 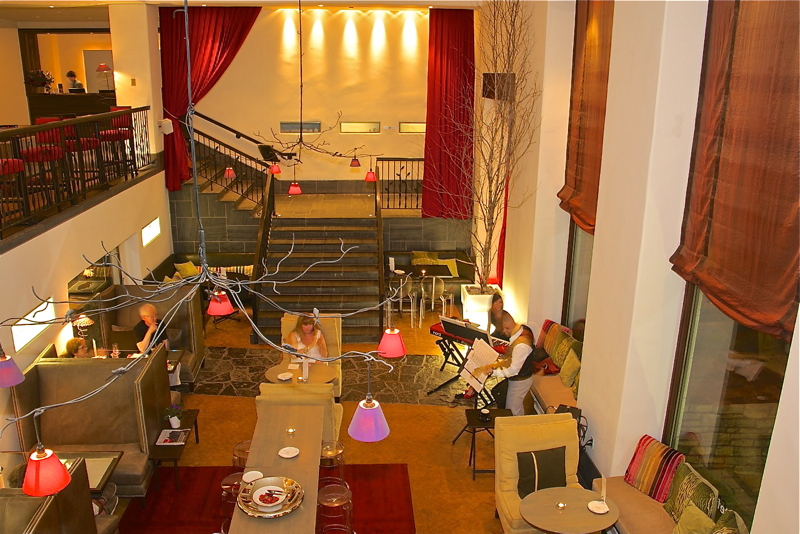 As night falls, the hotel emits a warm, glorious glow that illuminates the cobblestone streets below. It’s romance, like you’ve never seen — and one of the many reasons visitors flock to this charming corner of the city. A 90-minute drive from Québec City is an absolute must if majestic mountains and stunning seascapes are what you crave. 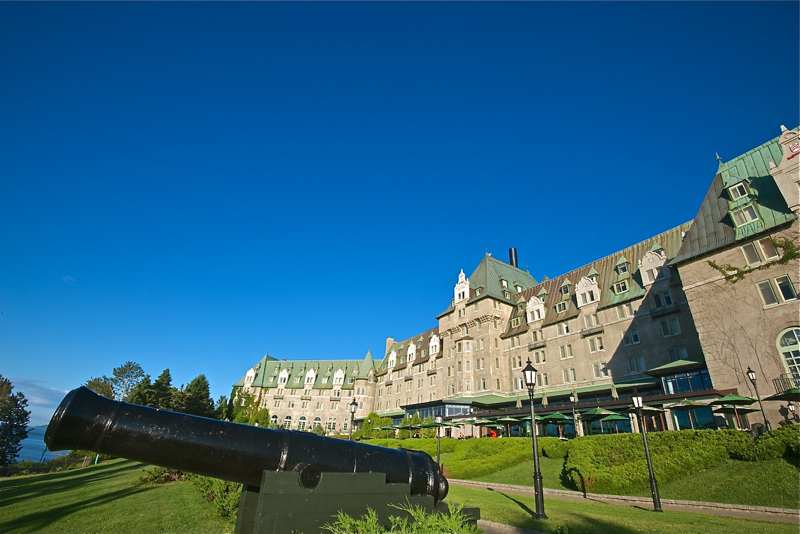 Known as the “Castle on the Cliff,” the Fairmont LeManoir Richelieu defies all logic when it comes to looks, making it both ravishing and rare in its beauty and allure. Romantic and serene, yet ever so fierce, with steep drops that reveal sweeping views of the St. Lawrence River, this property can be summed up in one word: perfection. It’s a swift departure from the cookie cutter, one-size-fits-all model. This 200-acre piece of paradise is a destination all its own – a place where visitors can revel in sheer solitude as they wander the quiet gardens, pondering the hues of the flora and fauna that dot these impeccably groomed grounds. One of the resort’s most popular excursions allows guests to take an educational journey that’s out of this world without leaving this planet or the property. 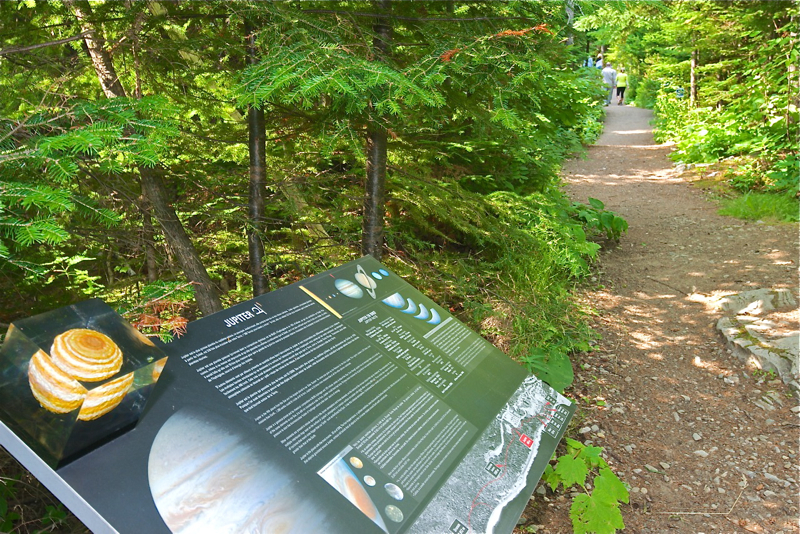 The 2.7-kilometer Speed of Light Trail takes guests on an incredible adventure through the woods, while providing an education in the solar system along the way. Several self-guided walking trails throughout the property boast lush greenery and stellar scenery. 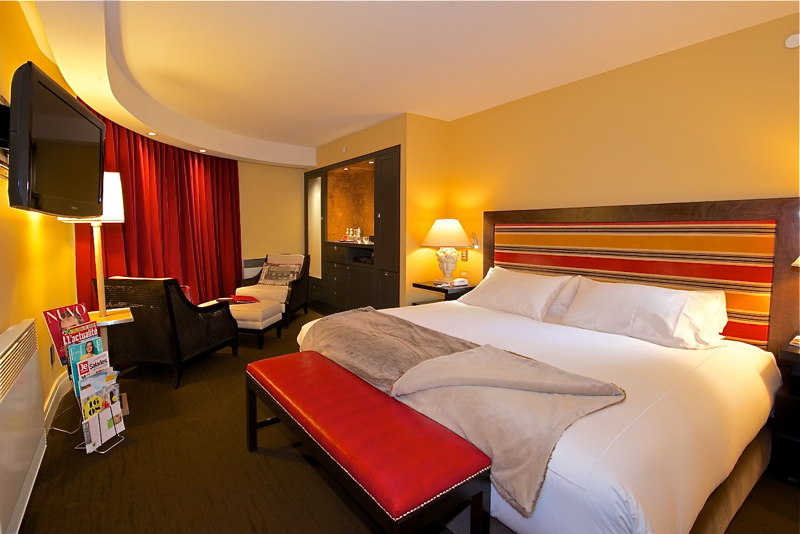 But the personal touches are what make a stay here both memorable and mesmerizing. 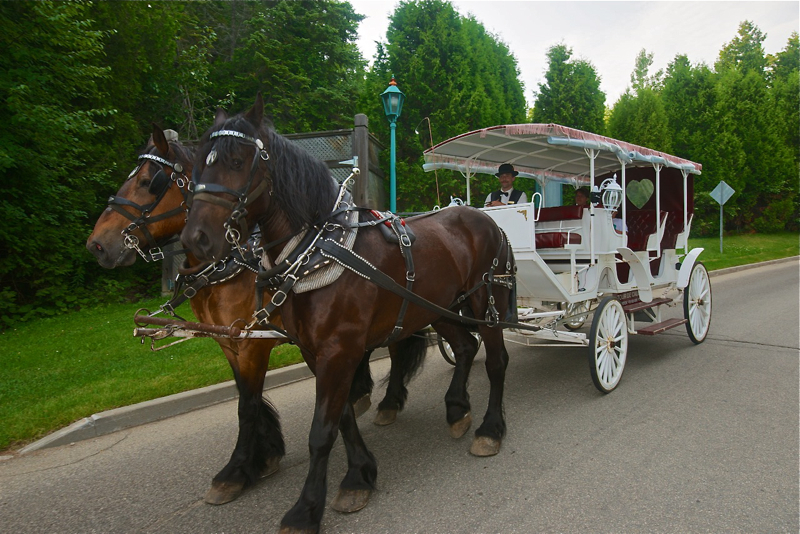 With seven horses on property, a soaring golf course revealing 360-degree views, indoor parking for snowmobiles, sleigh rides in the winter and a complimentary, 20-minute tour in a horse-drawn carriage, there’s not much more anyone could want for after a stay here. As a region known for its strong commitment to locally sourced food and an unwavering alliance to those who grow it, the mountainous landscapes of Charlevoix are quickly becoming a gastronomy mecca. The area’s clean, fresh air and wide-open spaces seem to lure even the most discerning palates. “You respect the product differently when you see how it’s grown,” said Fairmont LeManoir Richelieu’s Chef Patrick Turcot. And he should know. 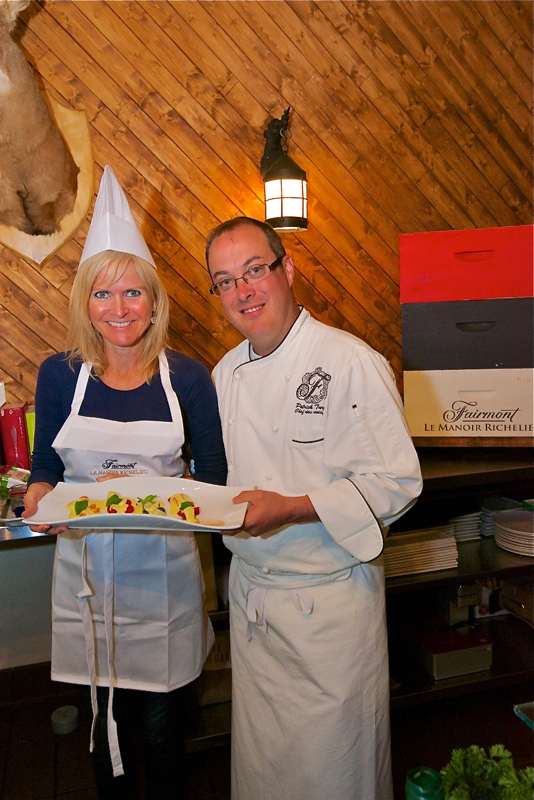 Turcot leads one of the hotels’ most sought after excursions: Charlevoix’s Flavour Trail. The afternoon tour, which visitors can add on as part of their hotel stay, brings together over 40 local growers, producers and restaurateurs whose ciders, artisan beers, pâtés, cheeses, spices, fine chocolates, meats, fresh fruit and produce are all showcased. 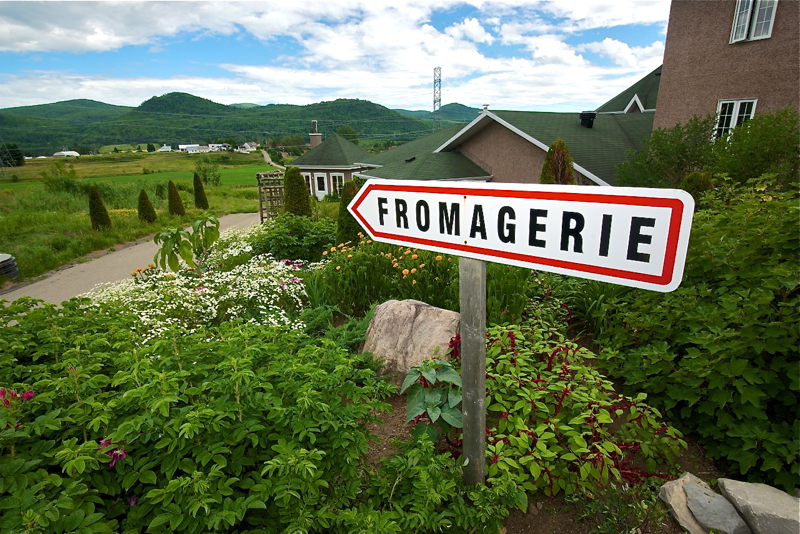 The Flavour Trail tour package, now in its third year, features visits to three farms, a cooking class with the chef and dinner at the hotel’s Le Charlevoix Restaurant, which showcases the offerings of five farms in the region. 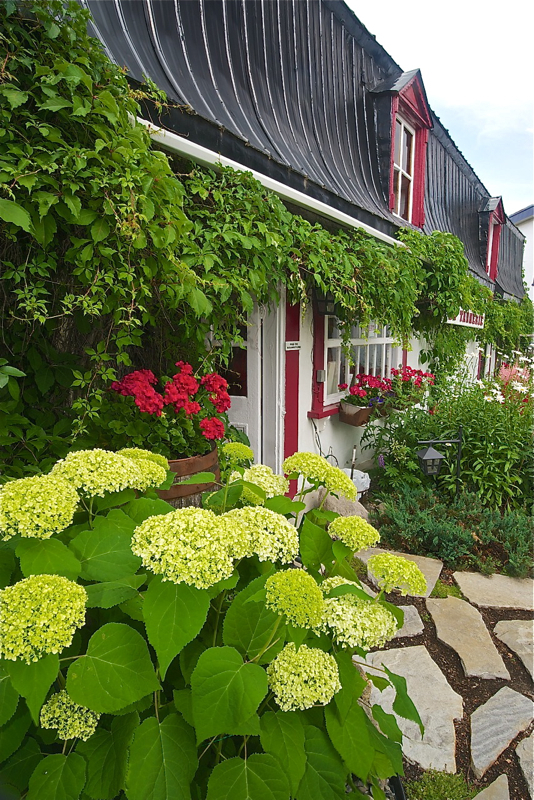 The wildly popular day-trip is the ultimate in epicurean exploration, starting from the Petite-Rivière-St-François and ending at to La Malbaie. And if you want in, better act fast, as this tour sells out nearly every time it’s offered. A short stroll from the Fairmont LeManoir Richelieu, you’ll discover an equally delicious diversion in Auberge des 3 Canards. 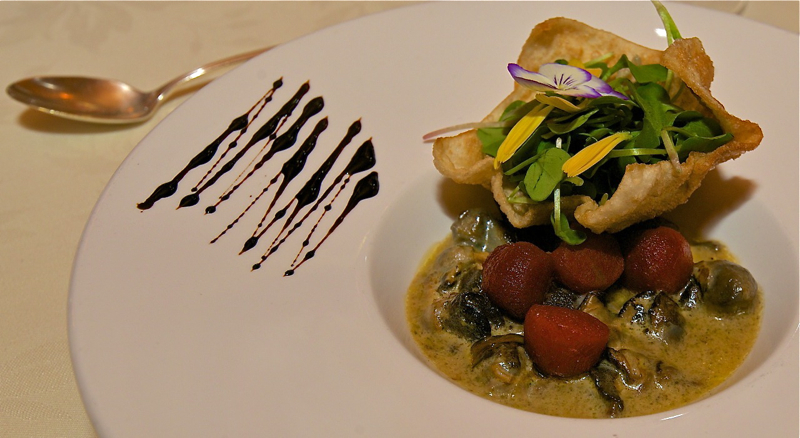 This holiday resort restaurant has amassed a solid culinary following for its unique blend of contrasting tastes. 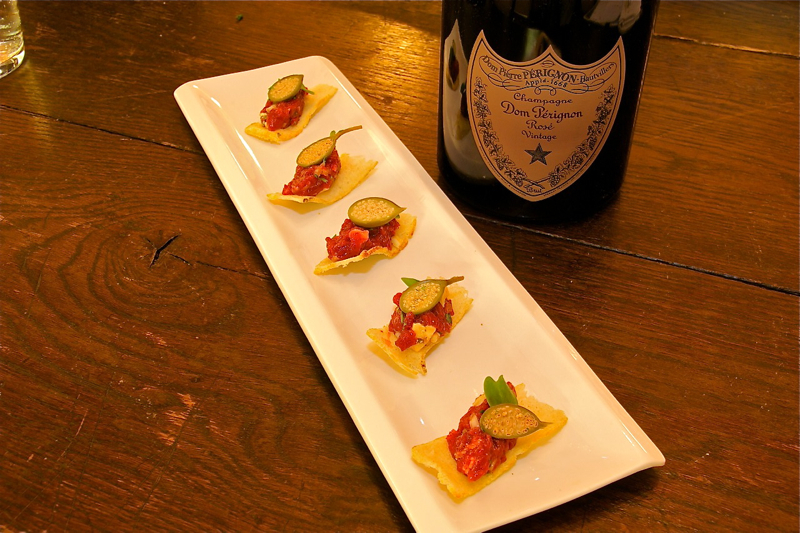 From his famous veal sweetbreads to velvety salmon and shrimps, Chef Mario Chabot’s French fusion has inspired even the pickiest eaters to break out of their comfort zones and try something new. 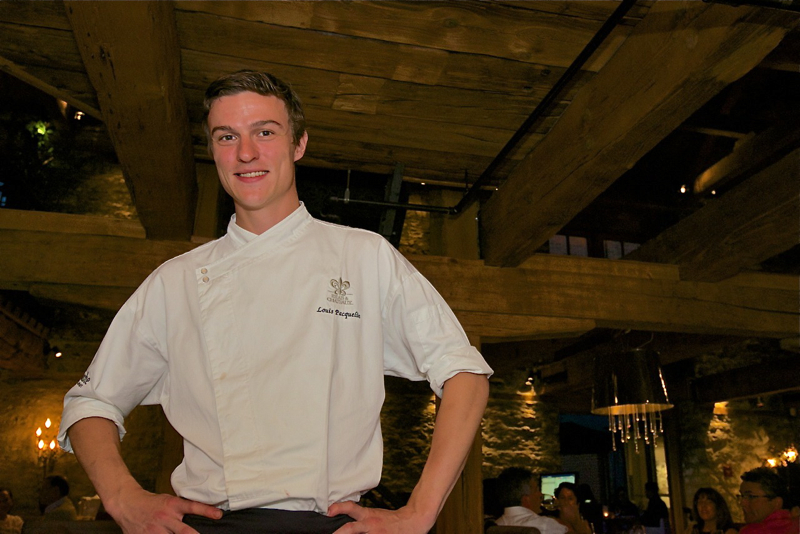 Hailing from South of Montreal, Chabot specializes in molecular food. And at only 35 years old, he’s already made a name for himself on this exclusive culinary circuit for his bold, daring and innovative approach to food. If age is only a number, then diners at Panache Restaurant may do a few double takes after meeting its thoughtful young leader, Chef Louis Pacquelin. This Québec City institution is a study in artistry and diligence, proving talent cannot be contained or bottled, only to be released when someone hits a certain age. 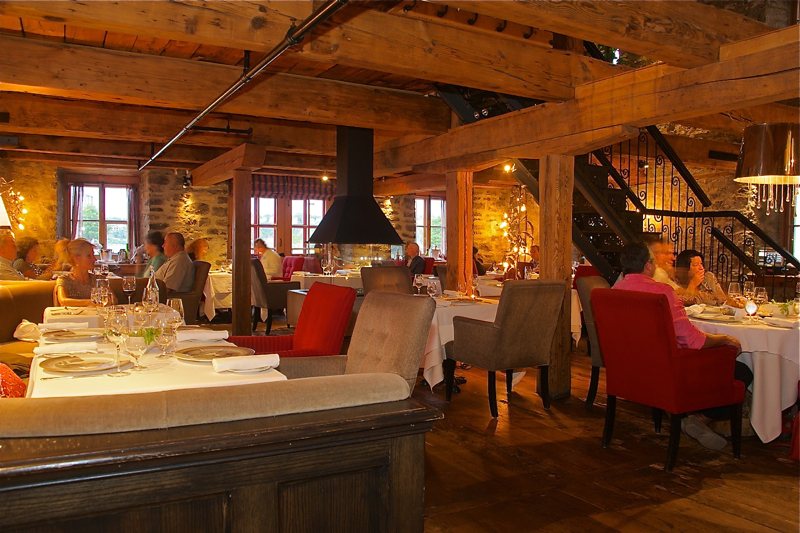 Pacquelin’s pioneering approach to food is as timeless as his love for the area’s local produce, sourced from the restaurants’ organic garden on the Île d’Orléans. Signature dishes like the Gilthead sea bream, with Jerusalem artichoke, seaweed, oyster tartare with sorrel, and venison striploin with celeriac and serviceberry push the epicurean envelope to the edge. The Panache wine cellar houses over 12,000 bottles, including 700 different labels from 14 countries, featuring some of the finest vineyards in Germany, Austria, Italy and France. The warm and inviting ambience features cozy stone walls, rich colors, comfy booth seating with tossed pillows, distressed wood floors, exposed high beamed ceilings and a lovely outdoor café. 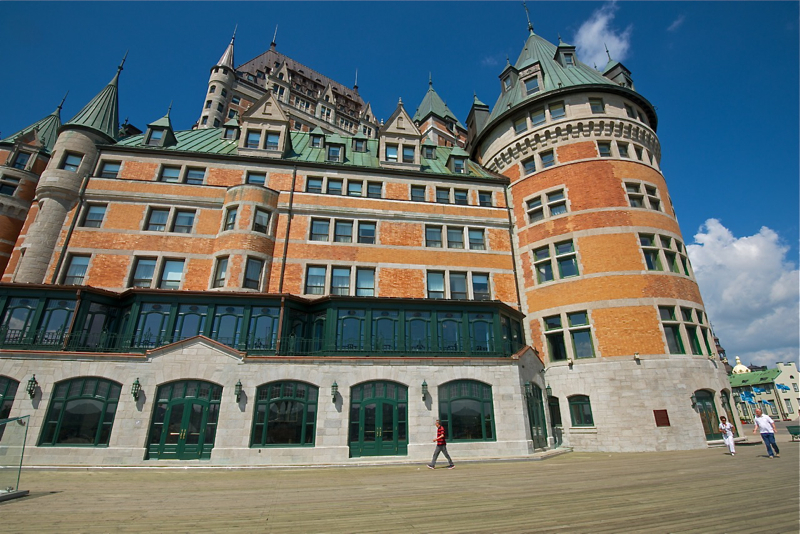 Under the watchful eyes of Chefs Stéphane Modat and Baptiste Peupion, the Champlain Restaurant in Québec City’s Fairmont Le Château Frontenac is quickly becoming a legend in its own right. As the men behind the recent re-imagination of all the hotel’s restaurant know, success lies in the tiniest of details. One look at breakfast will prove that. Little, illuminated compartments that hold dainty glasses topped with fresh fruits, yogurts, hard-boiled eggs, fresh fish and rich, creamy smoothies entice and delight. 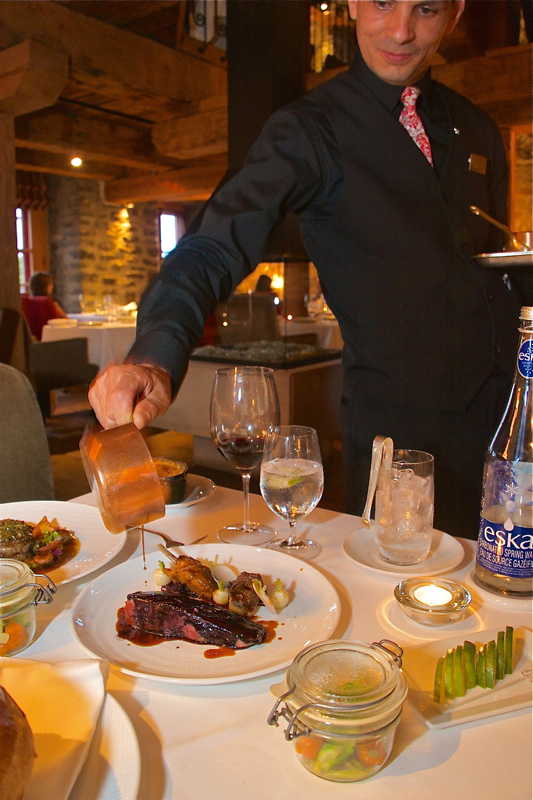 It’s not uncommon to linger over these meticulous meals as you gaze out onto the St. Lawrence River. But with 60 chefs, four kitchens and nearly 3,000 plates per day, you can be sure a line is forming just outside, with eager diners eyeing the very spot where you’re comfortably seated. 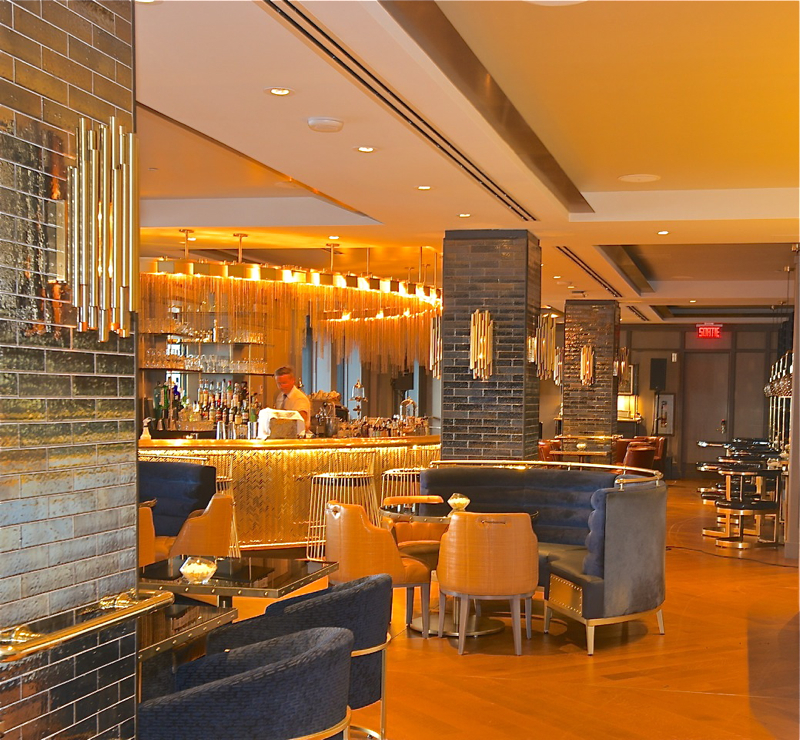 The perfect after-dinner drink and late-night bite is only a few saunters away in 1608 Wine & Cheese Bar, the hotel’s newest creation in magnificence and mixology. 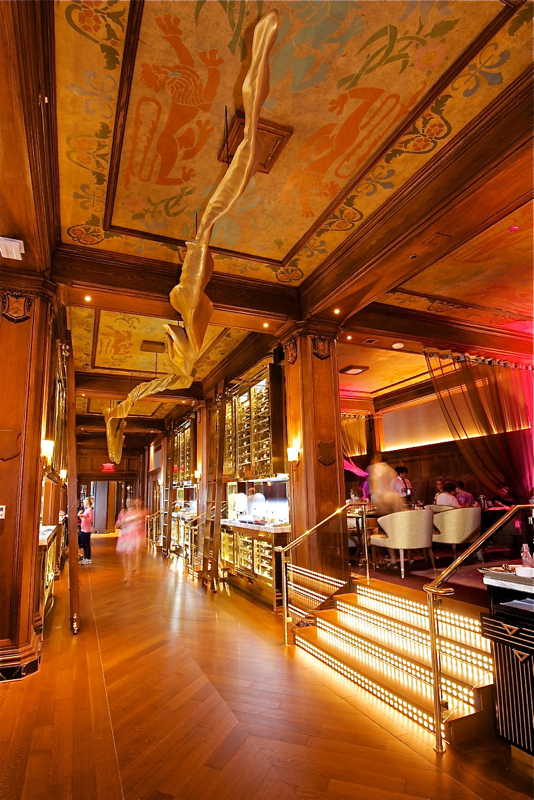 Named after the year of Québec City’s founding on this very site, this creative new concept is easy on the eyes with glimmers of sheer gold raining down in the form of spectacular chandeliers. The bar’s distinguished design pairs curved crushed blue velvet booths with glamorous gold accents producing a warm, inviting hue. With more than 30 types of decedent Québec cheeses and the chance to pair them with some of the top wines from around the world, it’s no wonder there’s rarely an empty seat here. Some of the world’s most famous fashion designers have made a name for themselves by pushing the limits, taking their ideas to the edge and not being afraid to fall from grace. 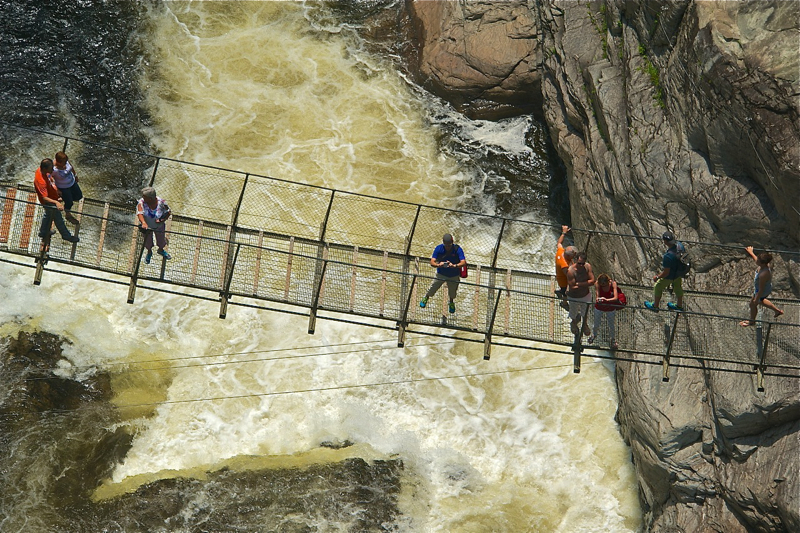 So if you’re ever in search of that extra ounce of courage in the face of fear, consider a visit to Canyon Sainte-Anne’s gorge and waterfall. These rushing waters, located just 30 minutes from Québec City, are nature’s awe-inspiring creation and your next challenge. Channel your inner warrior as you belt out a primal scream while crossing the 60-meter-high bridge over the Canyon. And don’t look down unless you can handle it. 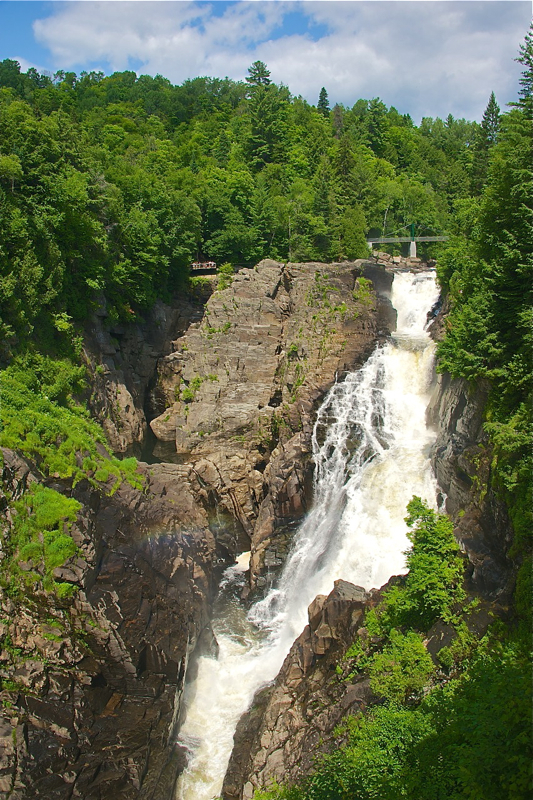 The majesty of Sainte-Anne falls soars 250 feet high as it swirls between its narrow and rocky 1.2 billion-year-old cliffs. 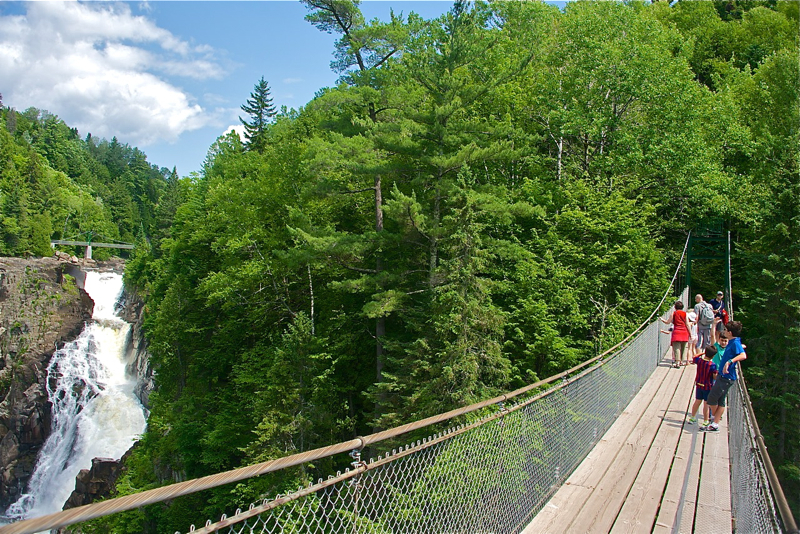 Three suspension bridges delicately dangle 200 feet high over the gorge and are ready and waiting for you to take the first step. Two giant zip-lines and three via-ferrata courses, round out this stunning and awe-inspiring gorge. 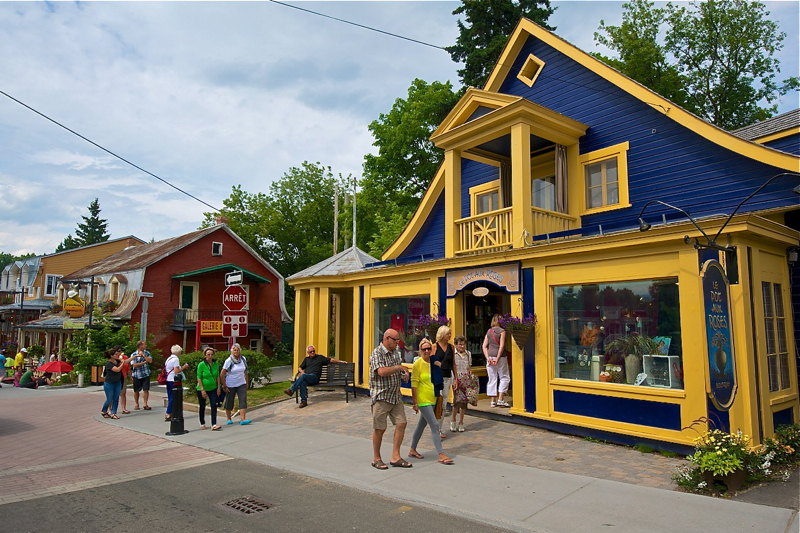 Nestled in a valley where the majestic mountains hug the north shore of the St. Lawrence River is a source of unlimited inspiration, a place where artists roam free. With sweeping vistas and surrounding peaks, it’s easy to get lost in thought. But stroll the narrow streets of this trendy town and you’ll discover a beat all your own as scores of quaint boutiques, unique shops and more than 30 art galleries come into view. And even though it’s famous for being the birthplace to Cirque de Solieil, this eclectic city isn’t resting on those laurels. That’s because Baie-Saint-Paul is busy creating greatness. Located in the tourist region of Charlevoix, this artists’ paradise provides the ultimate sabbatical for those seeking refreshment and refuge. With luscious landscapes, peaceful paths and beautiful benches everywhere you look, it’s easy to picture yourself amid the true, natural beauty for which this region is known. In a place where beauty knows no limits, there is a stunning showroom. It’s wardrobe may change from time to time, but what remains is even truer – an inner glow that emanates in the hearts and minds of all that set eyes upon its fashion forward foundation. Québec City and its surrounding regions have that effect. And like a fine wine, it’s taste endures with each passing year. Senior Travel & Lifestyle Editor and Director of Photography For more than 25 years Dale Sanders has traveled around the world enlisting his unique ability to capture the soul of the places and adventures he has experienced. His stories have graced the pages of many magazines, e-zines, and blogs worldwide. Dale’s love of capturing the essence of each destination he visits is not confined to writing. He is a successful travel photographer with clients that include many of the world's top travel magazines, book publishers and PR firms. Editorial assignments comprise the majority of Dale’s travels around the globe. His growing stock files now contain in depth travel images from dozens of countries. Check out his travel photos at www.DaleSandersPhotos.PhotoShelter.com Dale's successful career in writing and photography makes him a valuable resource for editors and PR firms alike.